Makes 8 doz. or 24 servings, 4 squares each. Microwave butter in large microwaveable bowl on HIGH 45 sec. or until melted. Add marshmallows; toss to coat. Microwave 1-1/2 min. or until marshmallows are completely melted and mixture is well blended, stirring every 45 sec. Add remaining ingredients; mix well. Press onto bottom of prepared pan; cool. 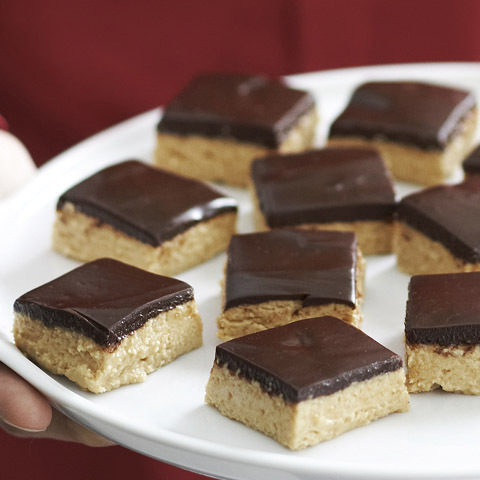 Use foil handles to lift dessert from pan; cut into 1-inch squares. 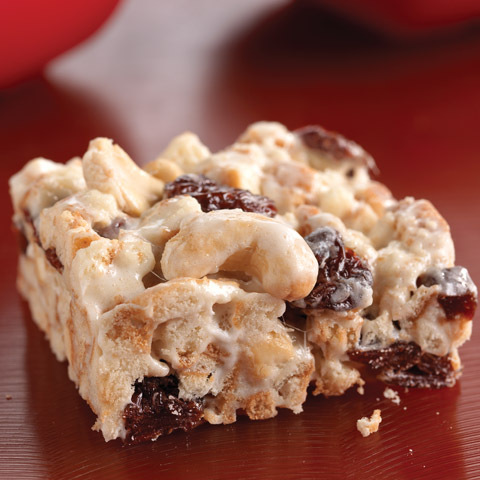 Variation Prepare using your favorite nut and dried cranberries. 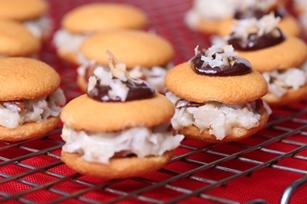 Gift-GivingThese bite-size treats make perfect gifts for family and friends. 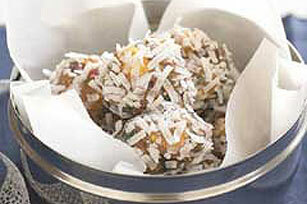 Place in paper candy cups or mini cupcake liners, then pack in a holiday gift box for a one-of-a-kind gift. 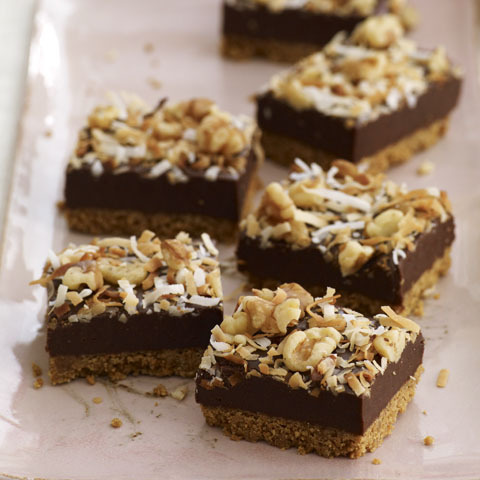 Serving SuggestionThese sweet treats can also be cut into 2-inch squares to yield 24 servings, 1 square each.